Home Energy Solutions (HES) work crews have a slow period in summer, but you can take advantage of that by calling the Jonah Center’s partner, New England Conservation Services at 1-877-389-7077. Mention the “Jonah Center Promotion” and schedule a home visit. Home Energy Solutions is a state-sponsored program funded by utility rate-payers like you. Yes, you have already paid into the fund that will pay for these services. Why not take advantage of them. Even if you have had HES at least 3 years ago, you may be eligible to benefit from it a second time. John and Susan Hall have actually had 3 HES visits at their home, spread over 8 years. For every sign-up we get that results in a completed visit, NECS will donate $50 to the Jonah Center. Not only that, but for visits made before August 31, the customer co-pay will be reduced to only $124. To see a video about Home Energy Solutions, click here. 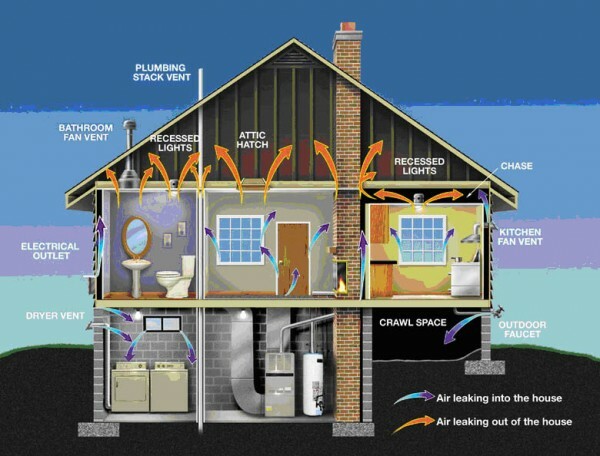 During a Home Energy Solutions assessment, a team of courteous technicians perform a number of tests to locate energy inefficiencies in your home, including pinpointing drafts and air leaks. Once identified, the technicians perform weatherization services that include caulking and installing insulation and weather strips. The technicians will also swap out traditional incandescent light bulbs with high-efficiency replacements, and install low-flow water devices on showers and faucets to help reduce your hot water bill. The value of these improvements to your home is estimated to be $1200, on average.